We are proud to announce that the Construction Industry Federation (CIF) will be taking part in Construction Jobs Expo. The industry titan will be exhibiting at Croke Park on Saturday 11th May 2019. 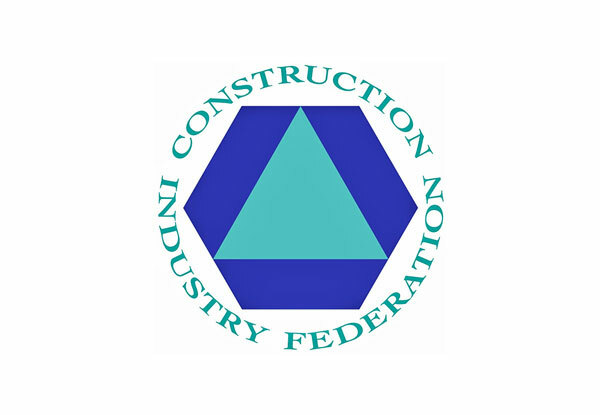 The Construction Industry Federation is Ireland’s representative body for the construction sector. The Federation’s primary duty is to offer services in order to guide companies when they face issues while working. Furthermore, CIF offer Recruitment and Training, Legal and Industrial Relations Consultation and Advice; Health & Safety; Marketing and Industrial intelligence Reports; Engagement with Government, Statutory and other industry bodies, and regular updates on all issues affecting the construction industry. CIF is a member-led organisation through its 34-member Executive Committee. CIF’s Branches and Associations appoint all members of the Executive Committee as well as other policy-groups. The Executive Committee directs a team of executives, subject matter experts and support staff in pursuing the objectives of the CIF’s committees, associations and branches. If you have an issue, CIF’s expert support team can assist you in the vast majority of situations. Furthermore, our detailed knowledge of the economy and the investment market sectorally and regionally can support your marketing efforts through the provision of market intelligence and a range of networking opportunities. A comprehensive range of training and business development programmes are available to ensure that your firm can assess high quality training inputs in safety and environmental requirements and business development. The CIF publishes an annual Directory of Services and Register of Members as well as a regular member and industry magazine Construction. We circulate this widely to all clients on our client database. In addition, the CIF has specialist registers of members of CIRI, Safe-T-Cert, Heritage Contractors and firms on the Environmental Retrofit Register. These registers are also promoted to potential clients on behalf of members of the registers.